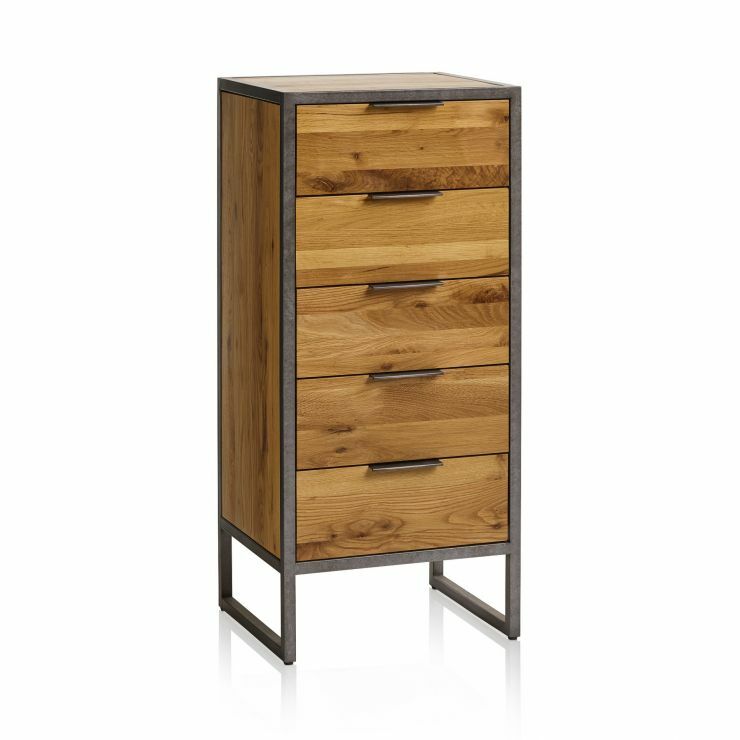 The Brooklyn oak and metal tallboy is designed to bring a modern industrial edge to your home. 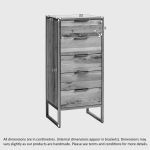 It embraces the loft-living style of the range, with an open metal frame and slim metal tab handles. 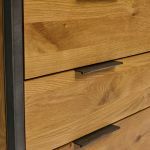 The piece boasts beautiful plain-fronted solid oak panels around each side, showing off the beautiful grain patterns of the natural oak finish. 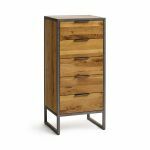 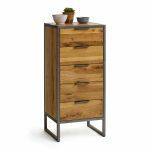 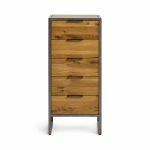 The metal tallboy has 5 deep drawers, all finished with real dovetail joints to add stability to the piece, and 100% solid oak bases, backs and runners. 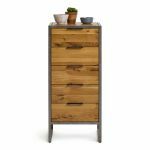 Shop our full Brooklyn range today to discover more great looks for every room.